Last year, nearly 9 million people across the UK alone took part to send a clear message of support for climate action. From the Sydney Opera House and the Eiffel Tower to Buckingham Palace and Edinburgh Castle, cities, towns and communities like yours across the world switched out their lights and came together for an hour, to join a global show of support for action on climate. WWF is asking people to sign up and make a promise to the environment – including everyday actions like using a reusable coffee cup, refusing plastic cutlery or turning your washing down to 30 degrees. 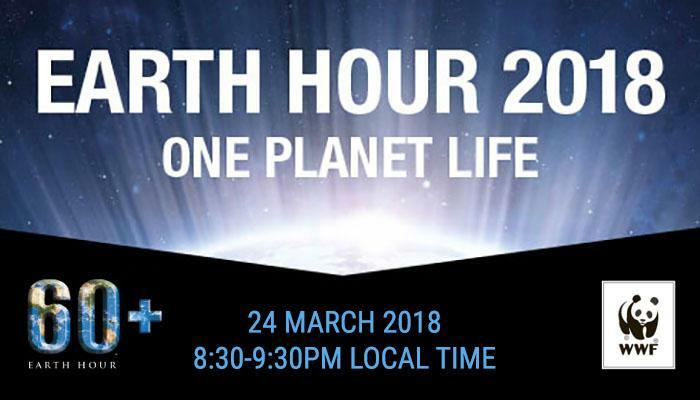 Sign up and join the millions at 8.30pm on Saturday 24 March 2018, switch off your lights and show you want action. For more information and to sign up, visit the WWF website.